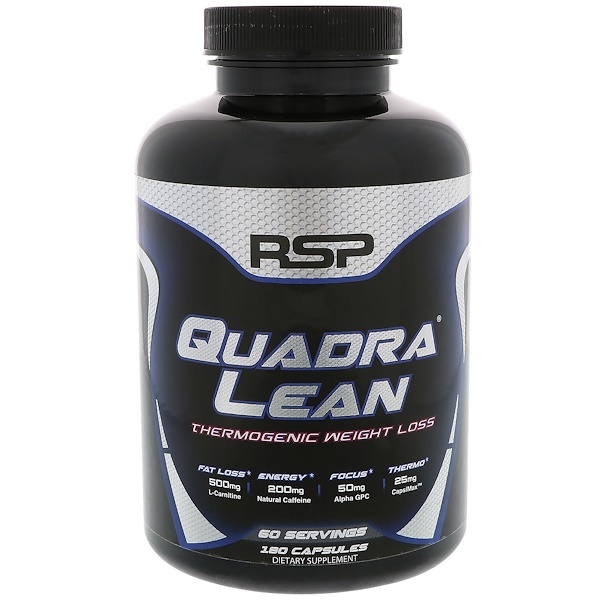 Meet the thermogenic counterpart of our best selling weight loss solution, QuadraLean. It is designed to burn fat simultaneously providing all natural, clean energy and focus. You can see the efficacious dosages of the key research-backed ingredients on the transparent supplement facts panel. 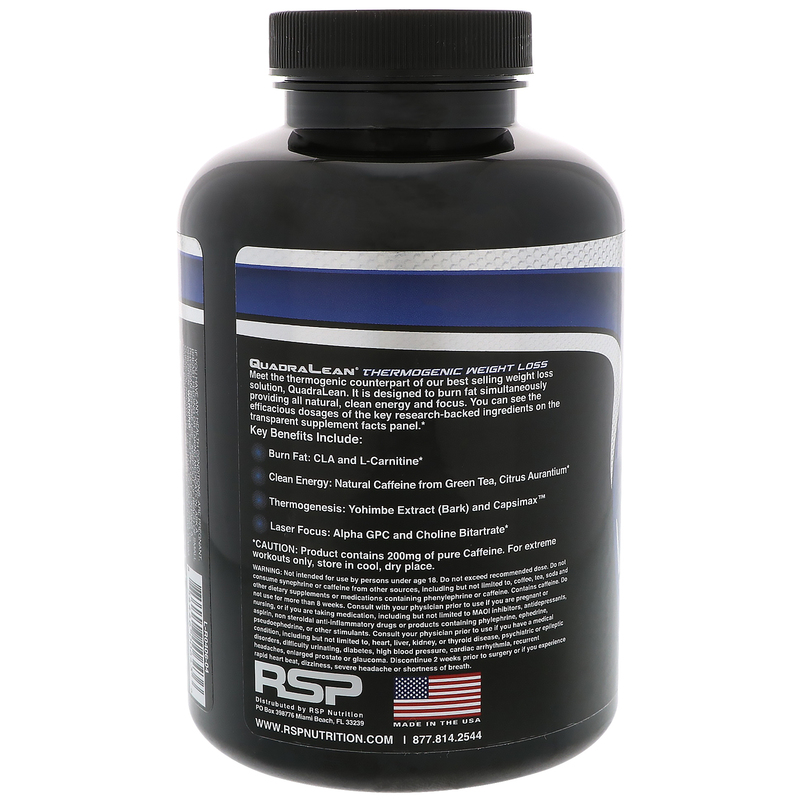 Take 1 serving before your largest meal of the day. Do not exceed 3 capsules in a 24-hour period. 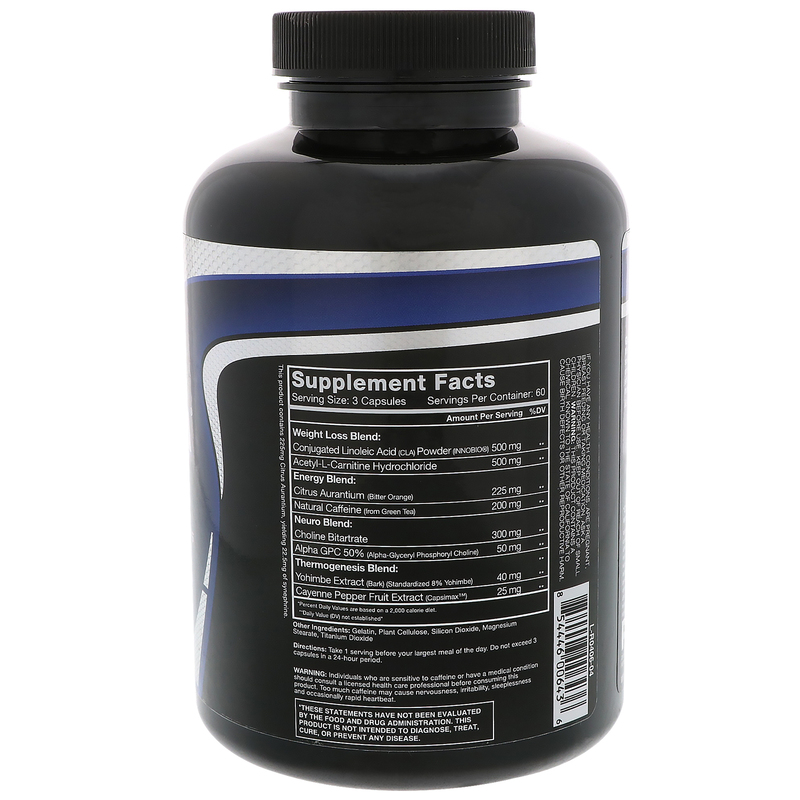 This product contains 225 mg citrus aurantium, yielding 22.5 mg of synephrine. Individuals who are sensitive to caffeine or have a medical condition should consult a licensed health care professional before consuming this product. Too much caffeine may cause nervousness, irritability, sleeplessness and occasionally rapid heartbeat. Not intended for use by persons under age 18. Do not exceed recommended dose. Do not consume synephrine or caffeine from other sources, including but not limited to, coffee, tea, soda and other dietary supplements or medications containing phenylephrine or caffeine. Contains caffeine. Do not use for more than 8 weeks. Consult with your physician prior to use if you are pregnant or nursing, or if you are taking medication, including but not limited to MAOI inhibitors, antidepressants, aspirin, non steroidal anti-inflammatory drugs or products containing phylephrine, ephedrine, pseudoephedrine, or other stimulants. Consult your physician prior to use if you have a medical condition, including but not limited to, heart, liver, kidney, or thyroid disease, psychiatric or epileptic disorders, difficulty urinating, diabetes, high blood pressure, cardiac arrhythmia, recurrent headaches, enlarged prostate or glaucoma. Discontinue use 2 weeks prior to surgery or if you experience rapid heart beat, dizziness, severe headache or shortness of breath.